I was talking to some other moms about how tired we get of telling our kids to do the same things every day. It got me thinking about when I worked in change management in my former company, and what makes change management successful in an organization. Organizations are made up of people right? And children are little people, so it stands to reason that the same principles should work on them. One theory I think would work here is Appreciative Inquiry (AI). AI was introduced by David Cooperrider and his associates in the mid-eighties. The appreciative assumes that in every organization (or person) there is something that works. The inquiry part is asking the question of “How” or “What” makes it work in that circumstance or instance? Caveat: This works best on behaviors that don’t need to be changed immediately. If you want to have lasting, sustainable, change - that takes time and practice. If you are having a heart attack, don’t use AI. Find the problem, solve it, then use AI to change the behaviors that led to the heart attack. So this shouldn't be a stretch to apply to our kids, right? I mean don’t we all believe that are children all have qualities that make them wonderful and unique, and there are things they often do right? Of course we do, so now we become aware of what is happening when they are at their best and try to repeat it. There are three steps (You can find models with up to 5 steps, but we are sticking with the basics.). Discovery. Design. Dream. Step 1 Discovery: What works now? Start looking for things that they already do right. Say your child struggles with his spelling test, and you feel like they are not living up to their potential. What happens when they bring home a 70%? You tell them you are disappointed, yell, threaten to take away privileges? I’ve done all these things. They didn’t work very well. An AI approach is to look at the 70% that your child got right. Ask them what they believe led them to getting those 7 words correct. You ignore the ones that were wrong. I know it will be hard, but ignore it. We want them to focus on what they can do not what they can't do. Let me repeat something because it is a very important. You ask THEM what worked. As parents many of us view our jobs as telling them what works, and letting them benefit from our years of wisdom. However, there is no teacher better than experience, so that means you also have to be willing to let them fail to see what works for them. Don’t sweat it. It’s elementary school (but even if this is HS, do it because this is an invaluable life skill). This won’t be a refection on their permanent record for their ivy league school application. Step 2 Design: Ask them what they did that they believed led or contributed to their success. Be prepared for, “I don’t know.” That’s okay. They probably will not immediately trust this new calmer, more positive you, and it’s a really hard question to answer, if you have never thought about it before. It's okay to let them think about it for a few hours or even a few days. Or, ask them what leads to their success at something that they are already good at. I asked my son, “What leads to your success in Tae Kwon Do when you pass your test?” “I practice” Eureka! Only say this to yourself, not actually out loud. Out loud, you can say something like, “Wow, that’s a great insight.” Move to Step 3…. Step 3 Dream: What could be…. “Do you think you could do that for your spelling and be even more successful than you already are?” Just by asking the question, you will get them thinking differently. Ask them to imagine how they would feel if.... (they got an A on the next test, if they helped someone each day, etc....) Change is made when rational thought and emotion come together. If it were rational thought alone, no one would smoke, and I would be a lot thinner. Warning: Do not take over responsibility here. You are a coach here, not a problem-solver. My kids say this to me when I give them advice about what they should do: “Gee, Mom, thanks for the words of wisdom. I am going to do exactly what you tell me to do because you are always, right.” And, then I wake up. No, they don’t say this because people always think their idea is the best. Your little human is no different, so let them come up with the idea. You can lead them that way, but let them do the work. Let them be right. Have a voice and be heard. Not only are you meeting these universal needs, but you are saying, “I trust you to be smart enough, creative, enough, resilient, and determined enough to solve, to improve upon, what is already great, and take it to the next level. I saved the most important for last. This week, pay attention to your language. Positive language is referring to a skill or competency, surprise, excitement, interest, curiosity, moving toward action. Negative Language: is expressing concern, doubt, unfulfilled expectations, feelings of dissatisfaction, sadness, anger, defensiveness, or referring to wasted efforts. Research by Barbara Fredrickson finds a 3:1 ratio of positive language to negative language would change the way your mind works and increase resiliency. Yes, you can change the way your child thinks in a positive way just by what you say! High performing teams (say perhaps the family unit) has a 6:1 ratio of positive to negative. 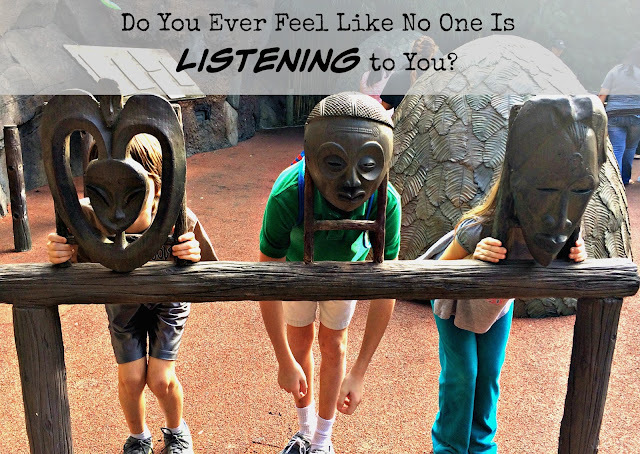 Not only that, your kids will internalize what they hear you say about them. If your child tells the truth 80% of the time, let them hear you say, “Johnny always tells the truth.” Overtime, he will work to live up to this positive assessment that you have of him. So, this week pay attention to where you fall on the positive to negative ratio, and how you can improve upon what you already do great. We would love to hear from you. Did you try it this week? Did it work? Either email us at mommasandmimosas@gmail.com, or leave a comment.